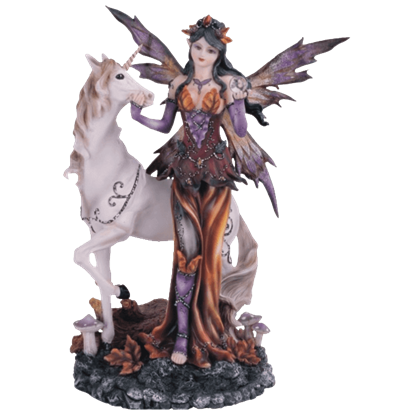 The Autumn Fairy with Unicorn Statue depicts a lovely fairy dressed in colors reminiscent of autumn and decorated with leaves. She is accompanied by a white unicorn that features elegant vine patterns emblazoned on its legs. Sometimes, flight will not get a fairy where she needs to be fast enough. Luckily, she always has other options, like a wild ride on a bucking magical steed, as depicted by the Autumnal Fairy with Black Unicorn Statue. Even in myth, unicorns were a powerful symbol, as imbued with magical potency as they were with ferocity and wildness. 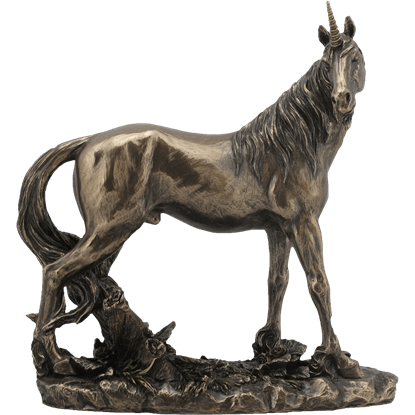 This Bearded Unicorn Statue, though, depicts a regal unicorn stallion that is at ease with its surroundings. 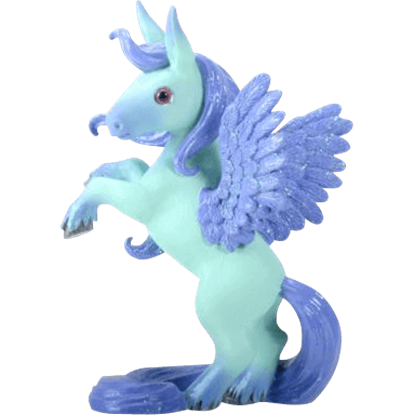 While most often depicted in its pure white form, the Pegasus occasionally appears in other bold colors. 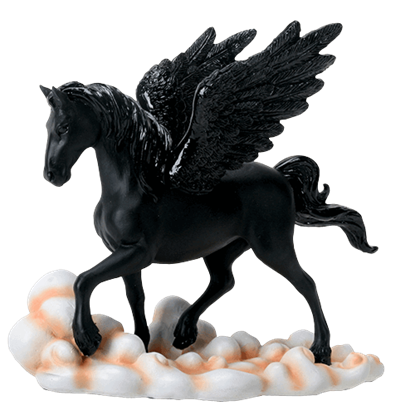 The Black Pegasus Statue depicts one example with a jet black Pegasus standing among the clouds. 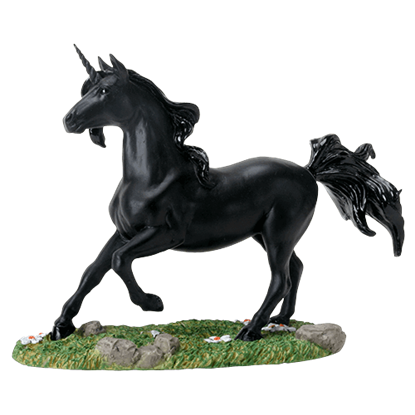 Introduce the imagination and spirit of an impressive fantasy creature like the Black Unicorn Figurine. This stylish and innovative decoration is sure to enhance the look and feel of any room within your home or office. 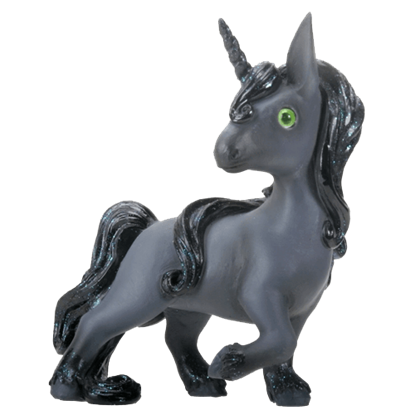 While pure white unicorns generally indicate purity and innocence, their black counterparts represent more forceful characteristics such as power and strength. The Black Unicorn Statue emphasizes these qualities in mid-gallop. Under the light of a blue moon, magical things may happen. 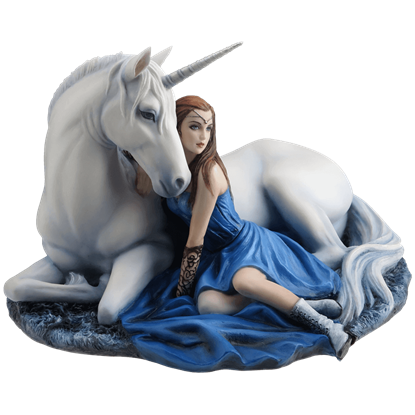 The Blue Moon Unicorn and Maiden Statue depicts an enchanted moment between a beautiful forest maiden and a gentle white unicorn, hand painted on high quality polystone. 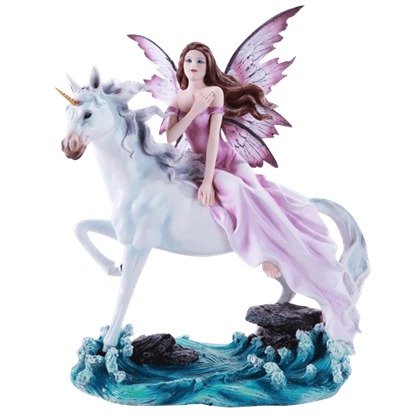 Let your imagination run wild and enjoy the mystical beauty of the Blue Pegasus Figurine. 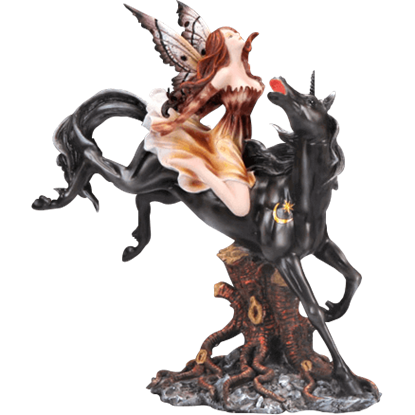 This unique statue is sure to be a treasured gift and can also be a great way to introduce some fantasy into your homes decor. Few beasts are as awe-striking or as coveted as the legendary unicorn, with its pure soul and its healing capabilities. 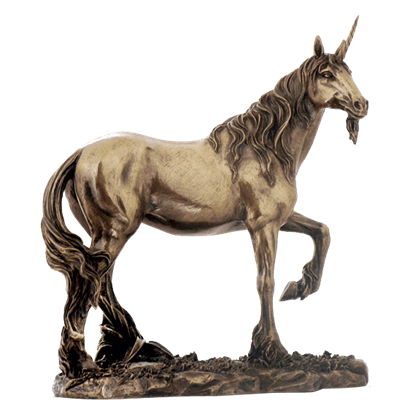 With the Bronze Unicorn Statue, you can put this majestic magical creature on display in your home. 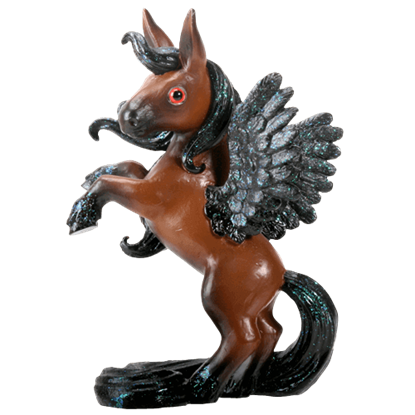 Capture an image of fantasy with the stunning Brown Pegasus Figurine and add it to your fantasy collection. This item can be a wonderful way to evoke some mystical looks into your homes current theme, so pick one up while you can. Variety is the spice of life, and in the case of the Colorful Fairy and Unicorn Statue Set, we mortals are granted the magical opportunity to witness four colorful fairies interacting with four unicorns in their own special ways.